United Kennel Club thanks you for your interest in the Hunting Retriever Club (HRC). After reviewing the HRC information on the UKC website, be sure to check out the HRC website for a more in-depth look into North America’s most realistic and respected testing venue for retrievers and the families who hunt them. The Preamble of the Hunting Retriever Club Constitution states its primary purpose to be: "...the betterment of Hunting Retrievers as a whole and to influence the breeding and training of a better and finer Hunting Retriever; to provide hunters and Hunting Retrievers a series of actual Hunting tests in a controlled system and furnish an ongoing educational program for the Hunters, for their training, experience, and sporting competition. Further, it is the purpose of this Association to support and protect the inherent rights of its members to own, hunt, bear arms, to promote the breed and type of dog of their choice and promote complimentary conservation and management of game birds and wildlife species commonly pursued by the members of the Hunting Retriever Club." "Conceived by Hunters for Hunters" is both the philosophy and reality of the Hunting Retriever Club ("HRC"). A Non-Profit, totally volunteer organization with the exception of an Administrative Secretary, HRC is democratically governed by a Board of Directors and an elected Executive Committee. Formed in 1984, the HRC has a multitude of active clubs throughout the United States and Canade. Membership in HRC is open to all persons regardless of age, race, religion, creed or national origin. The HRC is a family-oriented organization offering outdoor fun and fellowship to its participants. Participation by women and children is strongly encouraged and a wholesome atmosphere is maintained at all times. While most HRC members own retrieving breeds, participation in events is open to other versatile hunting dog breeds that can do the work. HRC is affiliated with the United Kennel Club, Kalamazoo, MI, who carries the registry for the HRC. 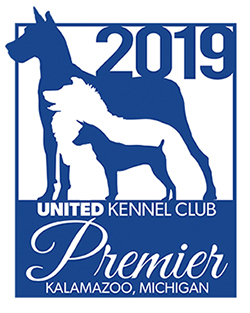 UKC offers 5 coveted titles to the HRC program: Started Hunting Retriever (SHR); Hunting Retriever (HR); Hunting Retriever Champion (HRCH); Grand Hunting Retriever Champion (GRHRCH); and Upland Hunter (UH). In keeping with the philosophy of HRC, titles earned are awarded as a prefix to the dogs name on its pedigree as opposed to a suffix to the name. HRC maintains its common sense, hunting realism in testing Hunting retrievers. There are five ability-based (not age) categories that the dogs may enter in the HRC Tests: Started, Seasoned, Finished, Grand and Upland. Unlike field trials, these are not competitive 1st, 2nd and 3rd place events, but tests where all dogs are judged pass/fail against a "Hunting Standard". These are events that are great fun where everyone can root for the other persons dog and help each other with their training. The judges must be experienced Hunters and must pass HRC administered tests, apprentice as judges, have gun safety training, attend judging seminars, have handled and passed a dog in the category that they are judging and meet other HRC requirements. Good Hunting-oriented judges are the key to having tests with Hunting realism. The tests are directly related to hunting the retriever in the field for waterfowl and upland game. Unlike field trials, the bird throwers and guns in the field are not exposed and dressed in white, but are hidden as in real hunting situations and dressed in appropriate hunting clothing. The Handler must wear camouflaged or other hunting attire. Gallery members must also wear appropriate camouflaged or other hunting attire due to creating distractions for the working dog. In the three upper levels, the Handler handles the shotgun (firing blanks), and works his/her dog from a blind or perhaps a boat, and may be required to quarter the dog in a pheasant or quail field. Seasoned, Finished and Grand dog Handlers must direct their dogs to birds the dog did not see fall (a blind). HRC stresses actual Hunting realism and gun safety in the hunting tests. The Grand Hunting Tests are held twice a year and are open only to those retrievers that have attained their Hunting Retriever Championship title. While there are over 4,500 Hunting Retriever Champions, there are only 333 Grand Hunting Retriever Champions (GRHRCH). These Grand tests are considered the Retrievers Superbowl. In 1996, a new Upland Hunt Test program was added to the HRC/UKC hunting program. The Upland test consists of a simulated walk-up with a subsequent quartering or tracking test. The Upland dog is required to honor another dog, be steady to wing and shot and will be presented with a minimum of two birds to flush in the quartering test. Successful completion of each test earns the dog ten points. Upon attainment of 40 points an Upland Hunter (UH) title is awarded. Members of local clubs typically get together to train, conduct Club business, hear presentations, hold fun hunts and Licensed Hunt Tests. Most clubs have training grounds for their members. HRC success comes from active members. Most local clubs have newsletters that help keep members informed and in touch, while the national HRC publishes an excellent bimonthly publication, Hunting Retriever Magazine. This magazine keeps members up to date on upcoming HRC events and news, results of licensed hunts, includes training articles by nationally known columnists, regional information, products updates and much more. There are a variety of events for UKC-registered Hunting Retrievers! The Hunting Retriever Officials all play an important role in keeping the sport alive.